Vishnu. 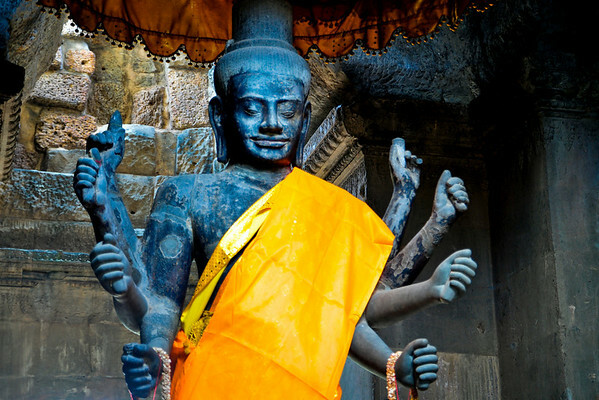 Suryavarman II was unusual among Khmer kings in making Vishnu rather than Shiva the focus of court religious life. The reasons for this decision are not known. Scholars have long debated whether his association with Vishnu helps explain why Angkor Wat faces west, the cardinal direction with which Vishnu is associated, rather than the common orientation for Khmer temples of east.